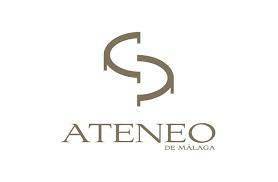 The Diputación de Málaga and the Ateneo de Málaga will carry out a series of cultural projects that seek a social impact through culture in the province of Malaga. In this press conference will be announced the projects that are already underway, whose start date is September of this year. In the first place, it is a series of conferences on women from Malaga, with the aim of recovering, from a historical perspective, Malagan women from the Modern and Contemporary Age born before the second decade of the twentieth century, and from different areas of culture. and knowledge. The lectures will be given by experts in the biography of each protagonist. Most of the scholars come from Malaga, some from the national level. In the second place, a project dedicated to the figure of the famous Málaga-born Bernardo de Gálvez is presented, which includes an exhibition of costumes of the time, in a large exhibition that also includes images and audiovisuals, as well as a conference and a round table by experts about the topic. The presentation will further explain the content of these projects, as well as the common objectives set by both institutions in this new phase of collaboration.